Construction finished, Doug Schleichert installs the Reserved for Salmon sign, in a parking space turned stormwater treatment facility. 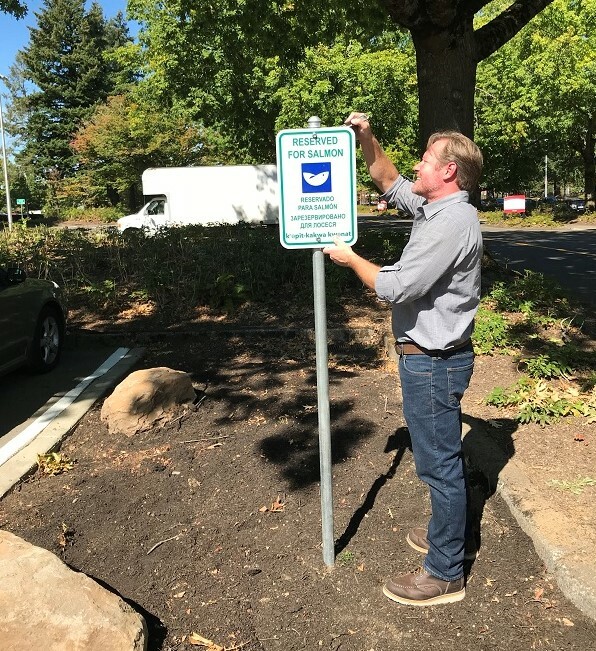 This summer (2018) MHCC partnered with the Sandy River Watershed Council and other partners to install rain gardens, bioswales, and drywells , in parking lots E and F. This will treat nearly 2 million gallons of polluted stormwater that flows from the parking lots into Beaver and Kelly Creeks every year. Drywells are 10-20 ft vertical cement pipes with holes that are filled with gravel and allow large amounts of water to soak into the ground slowly. At the end of 31 days of construction our amazing contractors from Grow Construction LLC and Britton Excavating helped us to successfully install a series of stormwater treatment facilities in parking lots E and F. Every project throws its curveballs at you, but all in all this project went smoothly, and finished on time. Bioswales can filter stormwater and carry excess runoff to storm sewers. Bioswales improve water quality by infiltrating the first flush of stormwater runoff through the soil. Stormwater planters are contained vegetated areas that collect and filter water through various layers of vegetation and soils. Rainwater enters the planter and is filtered through a layer of mulch, soil and sand. 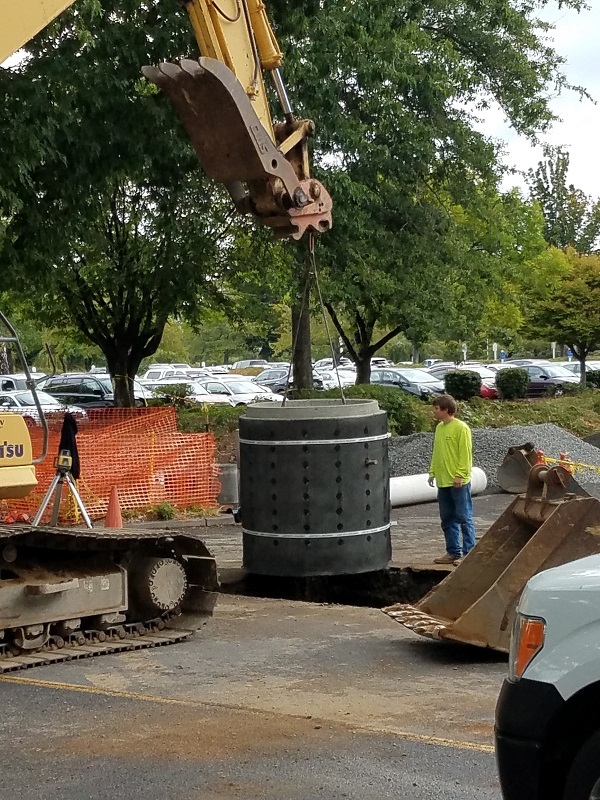 In a large rain event, the planter is designed to overflow out of a pipe where excess water is diverted into storm sewer inlets. A rain garden is a small depression planted with native shrubs, perennials and flowers. It is designed to temporarily hold and soak in rain water runoff that flows from parking lots or building roofs and filter pollutants. A rain garden is not a water garden, pond or wetland, in fact rain gardens are dry most of the time. Typically rain gardens hold water only during and following a rainfall event, and through features like drywells and soil composition, can drain within 12-48 hours. 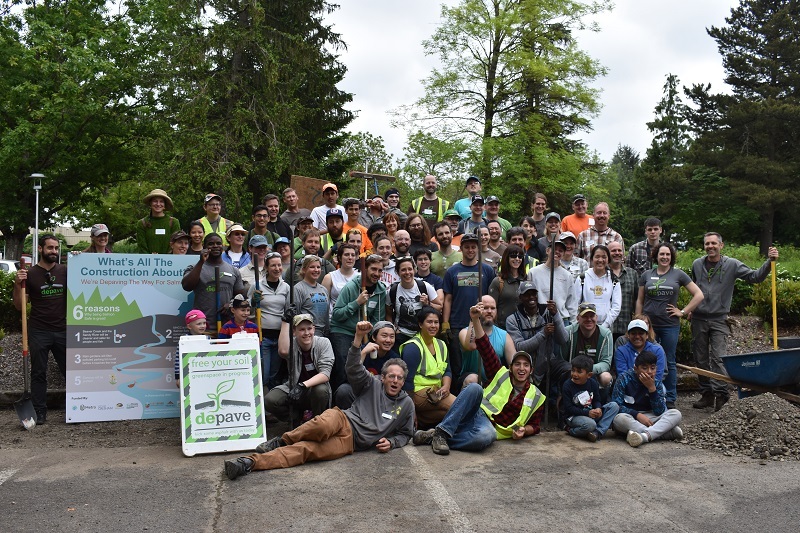 When this project kicked off back in May, over 130 volunteers came out to help us remove some pavement in these parking lots. You can help us put the finishing touches on this project too. Join us and Depave on October 27th to plant these rain gardens and bioswales. Volunteers helped to de-pave the MHCC parking lots in May 2018. 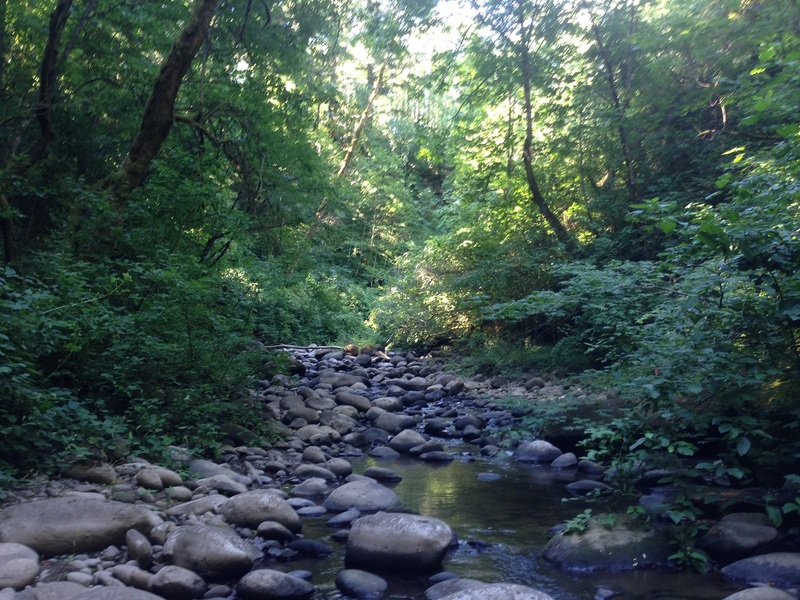 The Salmon Safe Clean Water project is a collaborative effort between MHCC, the Sandy River Watershed Council and a range of regional partners. The Salmon Safe Clean Water project is funded entirely by external grants, bringing approximately $1 million in outside investment to modernize campus drainage originally built in the 1960’s. 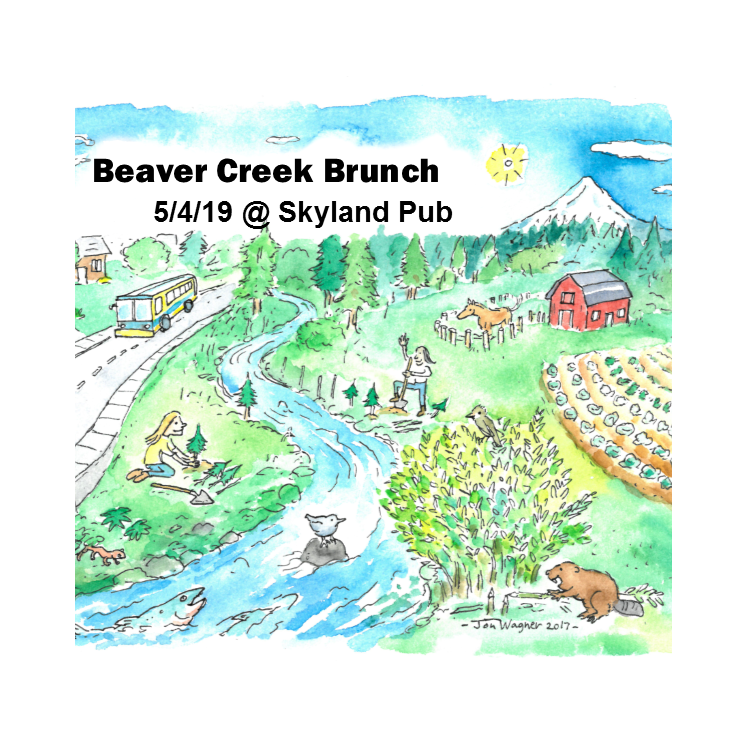 East Multnomah Soil and Water Conservation District, Metro, City of Gresham, Spirit Mountain Community Fund, and the Oregon Department of Environmental Quality. Read more about the MHCC Salmon Safe Projects on our projects page.